Pong cases are proven to reduce cellphone radiation exposure. 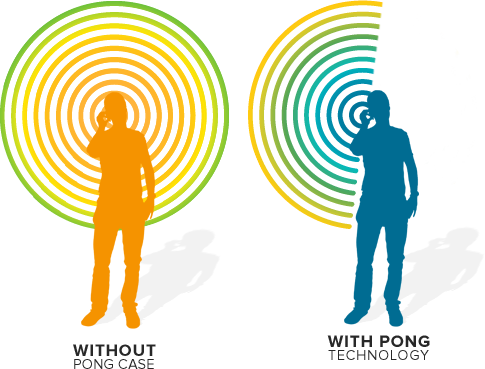 Pong Technology Reduces Your Exposure To Mobile Phone Radiation. Total Radiated Power is a measure of the radiation your mobile devices are emitting. TRP isn't bad. In fact, it's what gives you a strong mobile connection. Pong's patented antenna is unique in that it doesn't decrease the TRP of your mobile device. It maintains your signal and redirects that radiation away from your head and body. That's good for your phone and even better for you. 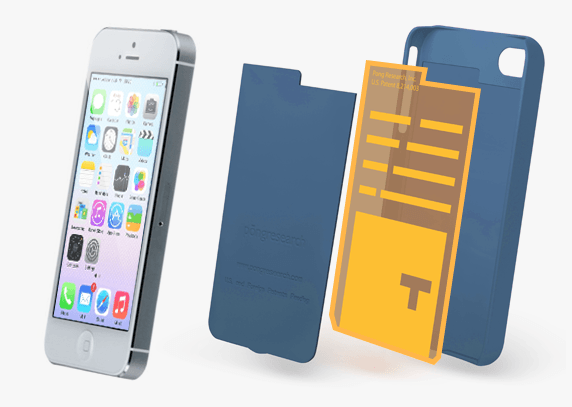 Pong cases are embedded with a patented, micro thin, gold-plated antenna, that reduces exposure to potentially harmful cell phone radiation while maintaining the phone’s signal. The Pong antenna couples with the antenna in your phone and redirects radiation away from you. Results from tests in FCC-certified labs show the Pong Sleek Case for iPhone 6/6s lowers your radiation exposure by up to 67% below a bare phone (or up to 89% below the FCC SAR limit). What's more, it was verified in an extensive, independent test by WIRED MAGAZINE. What Parents Should Know About Radiation. The National Cancer Institute (NCI) states, "In theory, children have the potential to be at greater risk than adults for developing brain cancer from cell phones." According to the NCI, this is due to the still-developing nervous systems and smaller heads of children. Pong cases give you an easy way to proactively protect your children from exposure to radiation. Slim, stylish and sleek all in a case designed just for your device. Pong cases are proven in independent, certified laboratories. Pong cases offer protection from 4' to 6.6' drops and are drop-tested to U.S. military specifications.